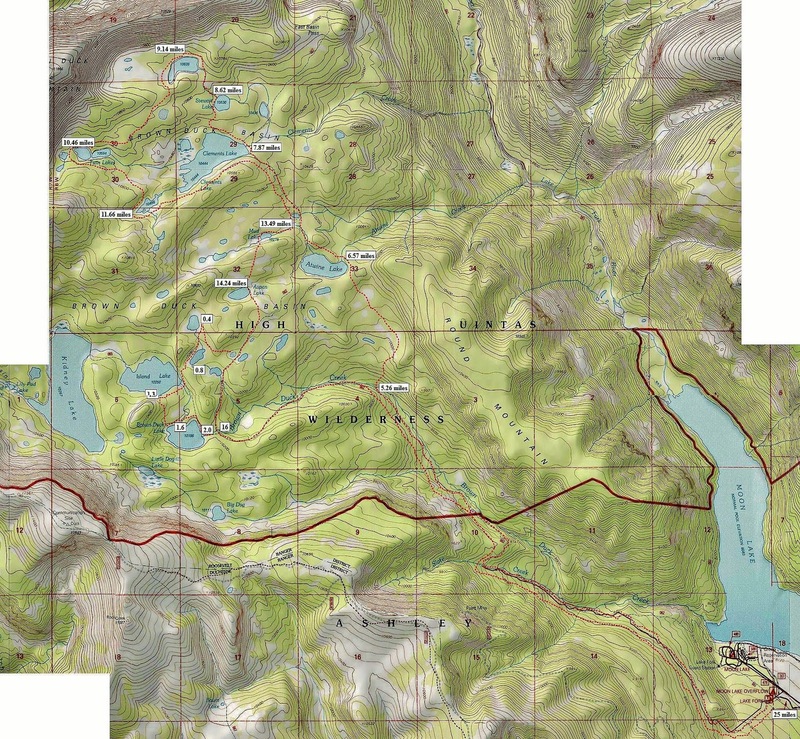 Trip #1 – LAKE FORK TRAILHEAD – to Upper Brown Duck Basin – Short-cut to Atwine, Clements, Stewart, X-78, Twin, Mud, Aspen, Island and Brown Duck Lakes – back to Trailhead. 10 lakes including some no-name lakes, 25 miles, 3-4 days. This area is located on the High Uinta’s South Slope north of Duschesne, Utah. This 25 mile backpack’s elevation profile is below with elevations noted at each trip mile marker. The red jagged line going across the map is the High Uintas Wilderness boundary–the wilderness to the north.